Jack White Shares Adventurous New Singles, "Connected by Love" and "Respect Commander"
We finally have our first songs from one of 2018’s most-anticipated albums: Jack White debuted new single “Connected by Love” via Zane Lowe’s Beats 1 radio show on Wednesday, with Lowe confirming that White’s new album will be titled Boarding House Reach. White also shared a companion track titled “Respect Commander”—both songs will be released on a limited-edition tri-color 7”, pressed at Third Man Pressing in Detroit. “Connected by Love” opens with ping-ponging synths, leading into its muted, woozy first verse, then an organ-backed, upbeat chorus. “Woman, don’t you know what I’m suffering from?” White sings, beseeching his lover, “Ease my pain, make it wash down with the rain.” The singular track introduces gospel backing vocals in the second chorus, then delivering an extended organ solo, a piercing guitar solo and a bizarre keys interlude before returning to White’s lovesick entreaties. The track is accompanied by a moving, Pasqual Gutierrez-directed music video. “Respect Commander,” on the other hand, is largely instrumental, allowing White to flex his guitar-playing muscles while cultivating a delightfully spacey haze. “Connected by Love” and “Respect Commander” are White’s first official singles since he released one-off instrumental track “Battle Cry” last April, which was then his first new song since 2014. More recently, White shared a sound collage titled “Servings and Portions From My Boarding House Reach,” which at the time, led many to correctly speculate that Boarding House Reach would be the title of White’s new record. 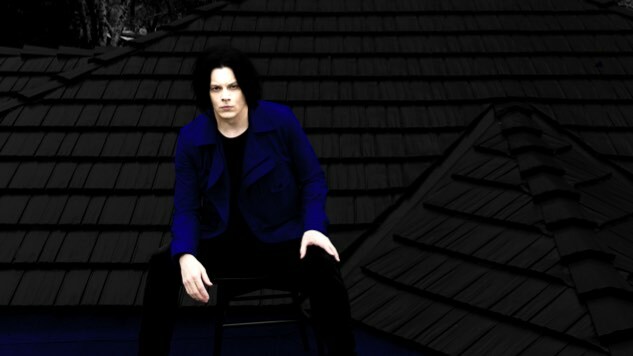 White has teased that the album, the follow-up to 2014’s Lazaretto, will be “bizarre,” claiming that it makes “good gardening music or roofing music or, you know, back-alley stabbing music.” Third Man notes that White’s collaborators on the album include drummer Louis Cato (Beyoncé, Q-Tip, John Legend), bassist Charlotte Kemp Muhl (The Ghost of a Saber Tooth Tiger), synthesizer player DJ Harrison, keyboardist Neal Evans (Soulive, Talib Kweli, John Scofield), percussionist Bobby Allende (David Byrne), and backing vocalists Ann & Regina McCrary of Nashville’s beloved gospel trio, The McCrary Sisters. Listen to “Connected by Love” and “Respect Commander” below, get a copy of the physical 7” featuring both singles here and stay tuned for more details of White’s Boarding House Reach.